In addition to stocking thousands of retail store fixtures and displays, Barr Display offers free store planning and store design consultation. Let us help you create a retail environment that is inviting and beautiful, yet functional and affordable. Let our experienced store design staff make opening your new store or renovating your existing store a breeze. We have designed all types of shops all over the world. Our complimentary store design service is an extraordinary value that will give your new store a great start. 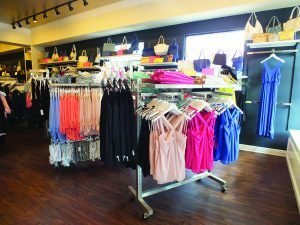 Maximizing space is critical to the success of retail shops. Our store planning design service will maximize your sales per square foot. No matter what the size of your shop, our experts will provide a plan that is thoughtfully designed to move customers throughout the shop and increase sales. An inventory analysis will help determine what types of fixture are best suited for your merchandise. Creative solutions will be implemented to optimize your retail space. Barr Display can work directly with you or hand-in hand with your interior designer, architect, or contractor. We believe proper planning can alleviate confusion and delays in completion. An estimated lead time for each project will be provided, and we will keep you informed throughout the entire process. Let us worry about the details and use our design expertise to create a beautiful and successful space. We can also help with Renovations! Is it time for a change? Does the tired look of your shop need an update? Revitalize your shop with a new look. 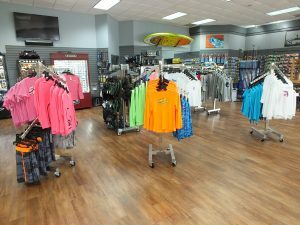 We can help design a new space that will address all of your needs and give your merchandise the attention it deserves. Even changing one or two fixtures can freshen up your space and add visual interest. Fill out our Client Profile to get started today! Each space is unique and we strive to create a successful sales floor based on your specific product, customer needs, and unique branding. Fill out your client profile to get started!